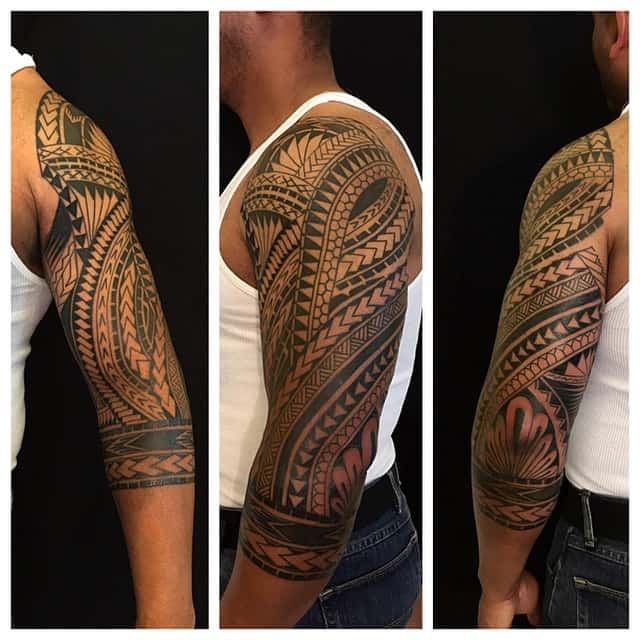 Tattoo art is not something modern but has its history rooted into ancient tradition of the Polynesian islands. 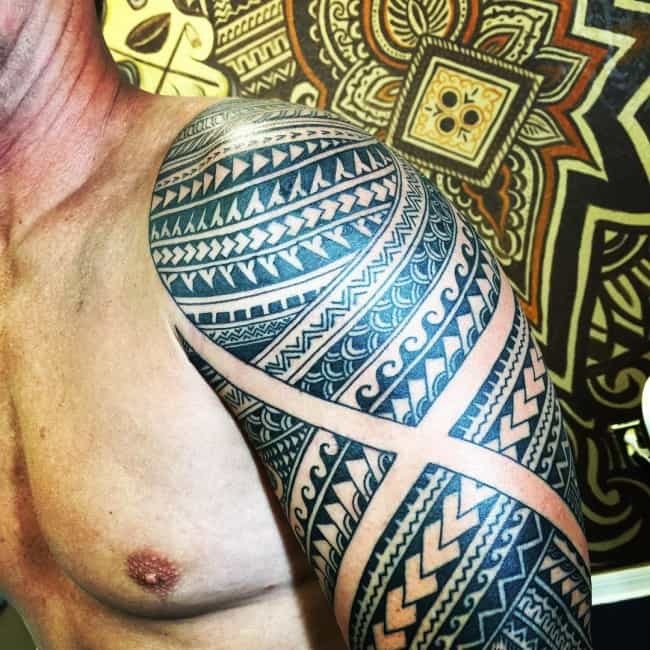 Among Polynesian tattoos, Samoan tattoos are regarded as one of the most famous ones. 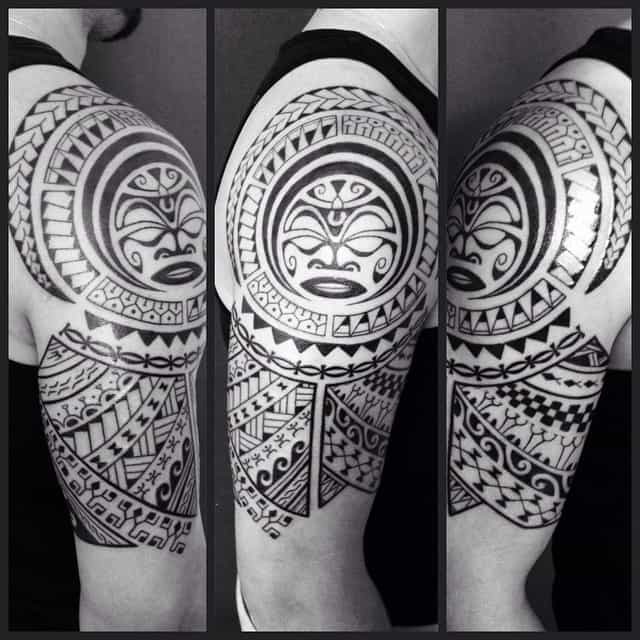 It is believed that the word tattoo actually comes from tatau. 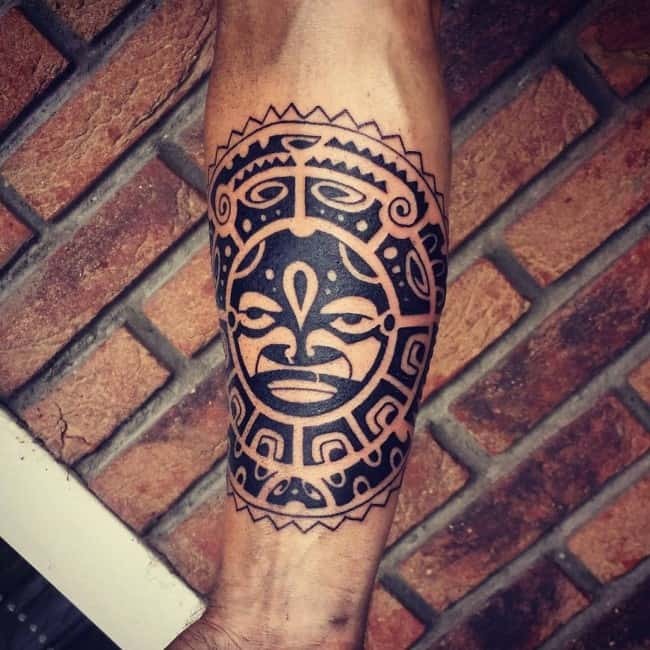 The Samoan art tattoo actually comes up as the oldest kind of tattoo and depicts the rite of passage, a journey across various stages and achievements of life. Getting this kind of a tattoo is a painful process and is a matter of bravery on the behalf of the bearer. 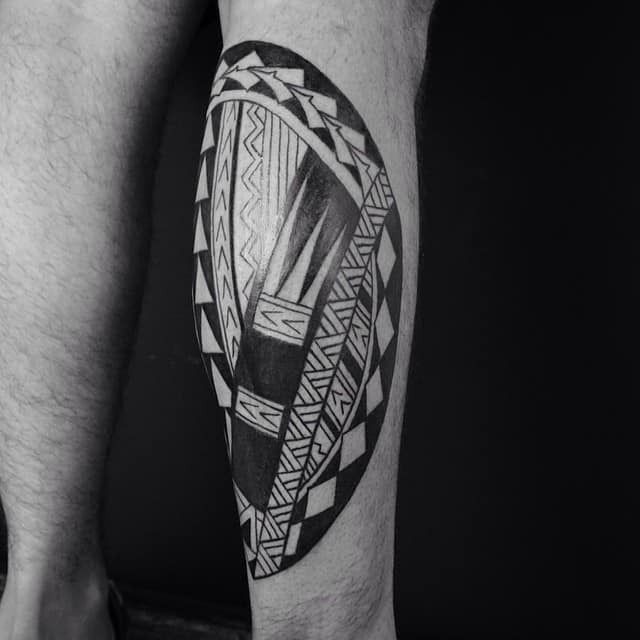 This tattoo art has been practiced in Samoa for over 2000 years, with almost every male in Samoa bearing them. 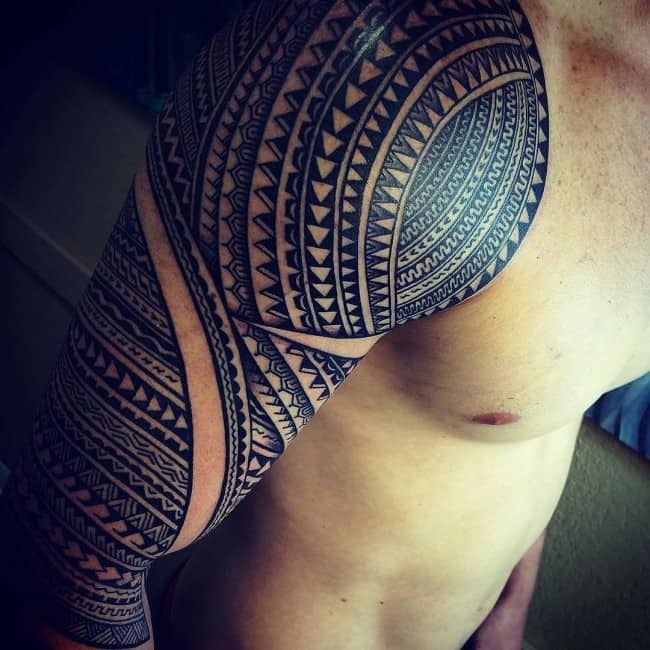 Therefore, tattoo art was actually an integral part of the tradition of ancient Samoan culture. 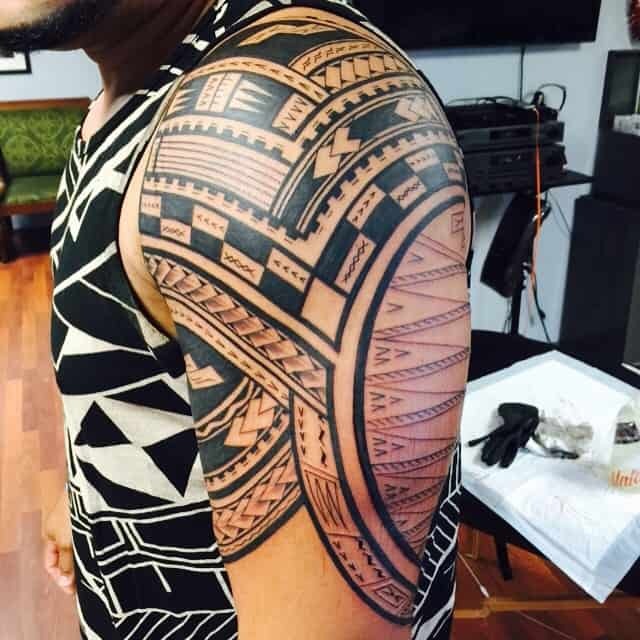 The Samoan art is a bit different from the modern tattoo designing process. In this process, a shell or bone dipped in ink is used to make a deep scratch on the skin. This makes the process much more painful than the conventional needle inked tattoos. The ink used for making these tattoos is derived from the ashes of burnt shells and is filled in the wound created by opening the flesh of the bearer. As the ink seeps deep into the wound, blood oozes out of it and it is wiped and the artist continues further with the tattoo design. The design is done in a slow process, which may take even months to complete as the wounds were allowed to heal in between the tattoo sessions. 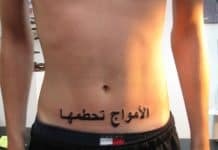 Leaving the tattoo in the mid because of the fear of pain would be a matter of disgrace to the bearer as well as his family. 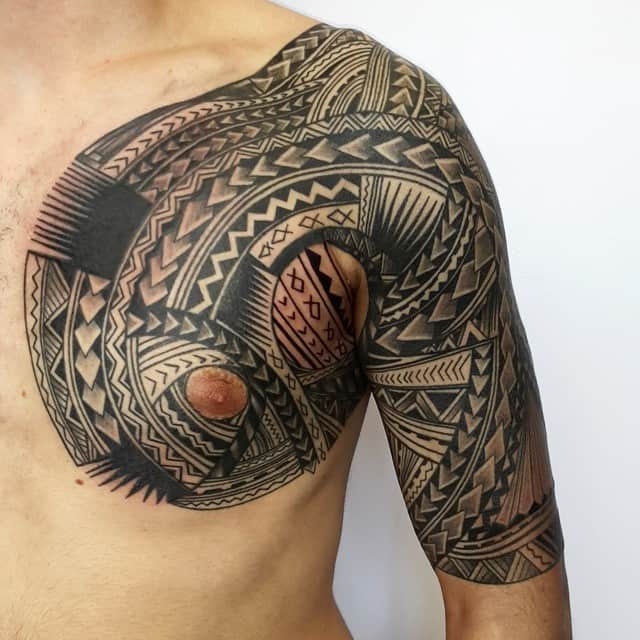 Moreover, the original Samoan art tattoos were large in size, extending from the mid back and reaching down towards the back of the knees. The extensive coverage of the tattoo made the entire process even more complicated, time consuming and painful. 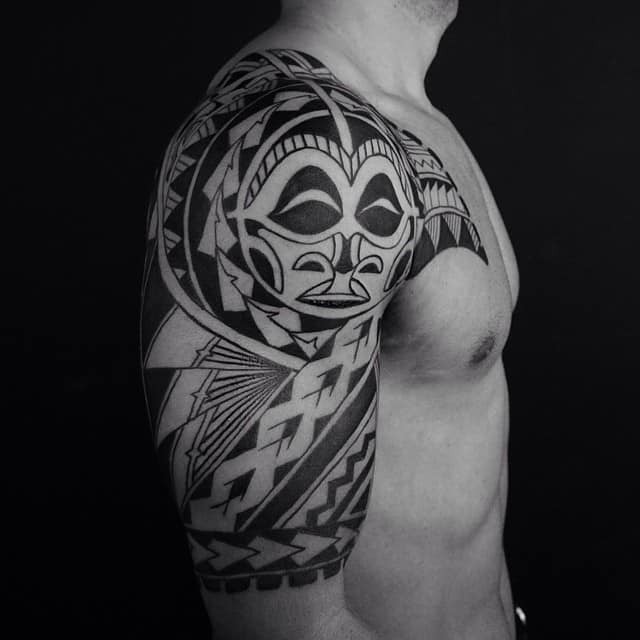 In the original Samoan culture, the tataus were created by the trained tattoo masters, known as the Tafugas. 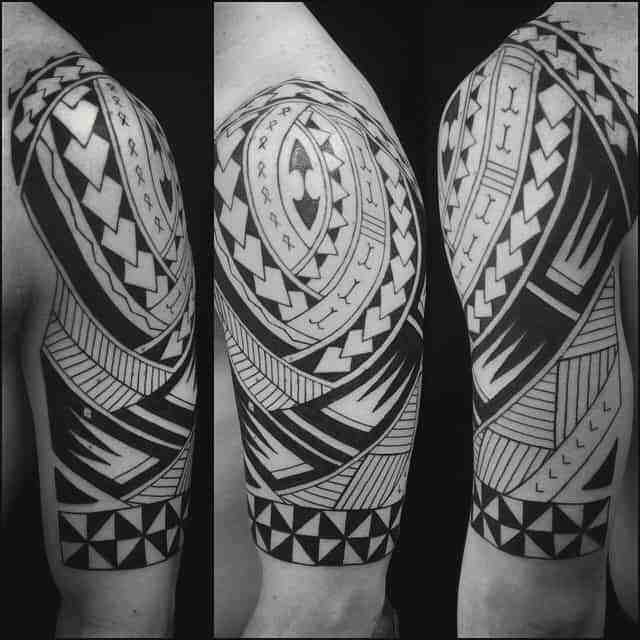 These professional tattoo artists had comprehensive knowledge about the designs as well as symbolism of Samoan tattoo designs. It was a skill which prevailed in a family and was passed from the older generation to the younger ones. Since tatau was considered as an essential rite of passage, the masters of the art were treated with honor in this culture and were given special gifts like food and handcrafted items for their useful services. 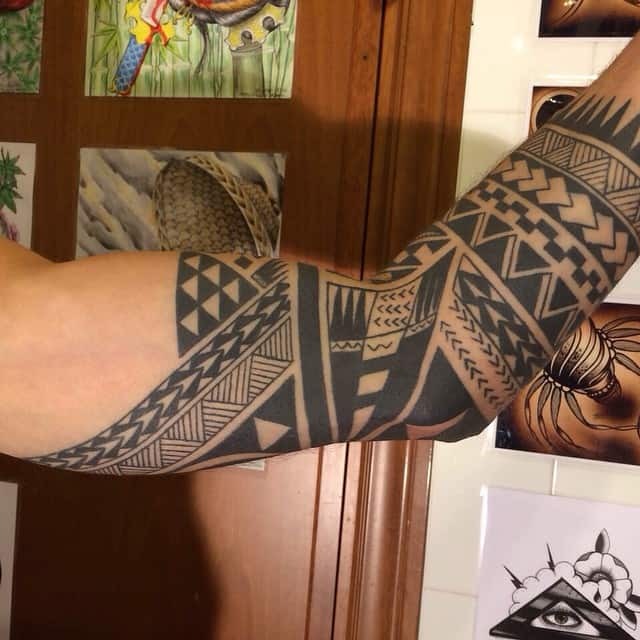 In Samoa, tattoos were meant to signify the social status of the bearer, with large sized tattoos being sported by men and women. Since the tattoos were large and intricate, narrating everything about a person, from his age to his social standing, rank and place in life. Getting them inked was a matter of great pain and endurance as they were ink with the tooth of a pig or shark rather than a needle. It was essential to have the tattoo completed once it was started, otherwise it was a matter of disgrace for the tattoo bearer. Larger surface areas like the back, shoulder, arm, forearm, hands, hips, ribs, calf, foot, chest, under the breast, stomach and thighs are the best suitable placement. 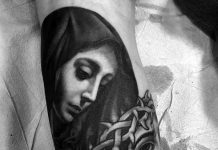 It is all up to the creativity and experience of the artist who is handling this tattoo, to create something valuable and captivating for the bearer. 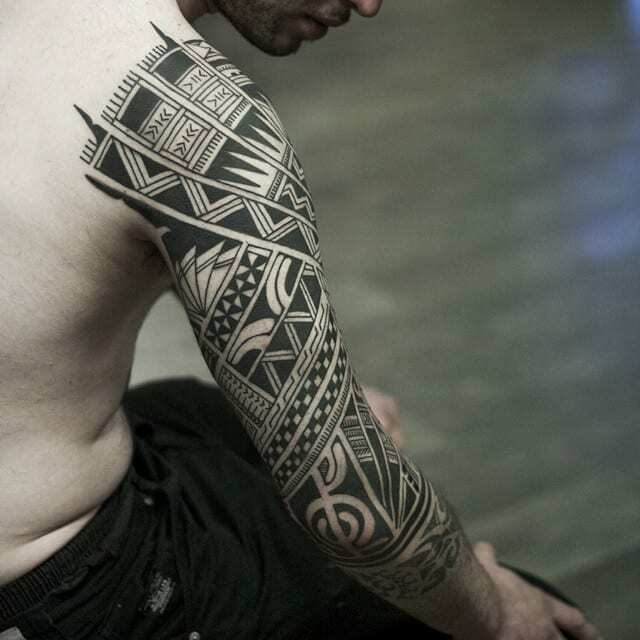 All these are male Samoan patterns and comprise of straight lines and patterns. On the other hand, Samoan art for women can include curved lines and circular patterns. 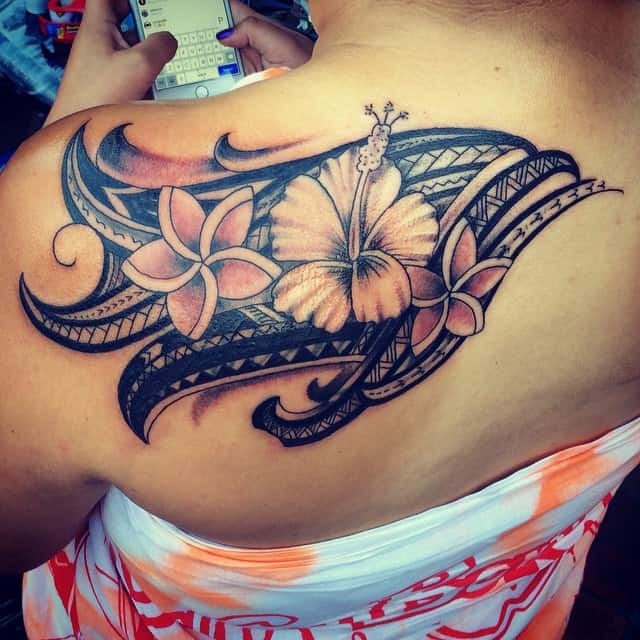 The tattoos for women in Samoan culture are not as intricate and extensive as in males. 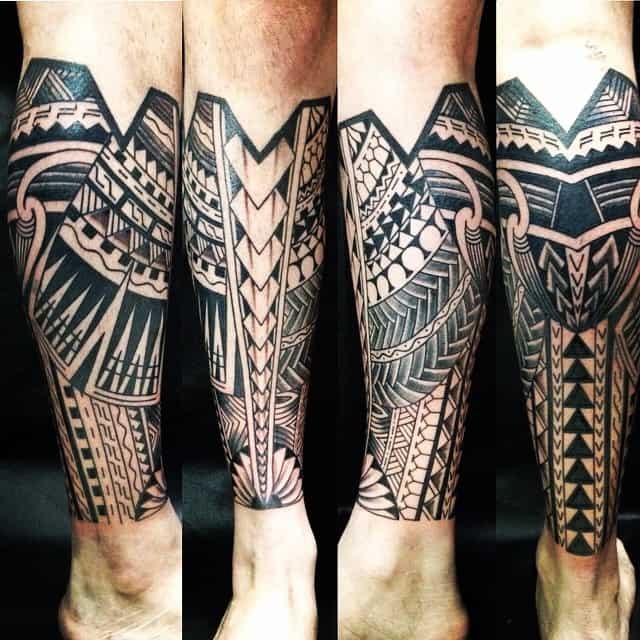 As opposed to pe’a tattoos in men, they are known by the traditional name of malu and extend from the thighs to the back of the knees. Another kind for women is the limas, which are inked on the hands and are a matter of great reverence in Samoan tribes. 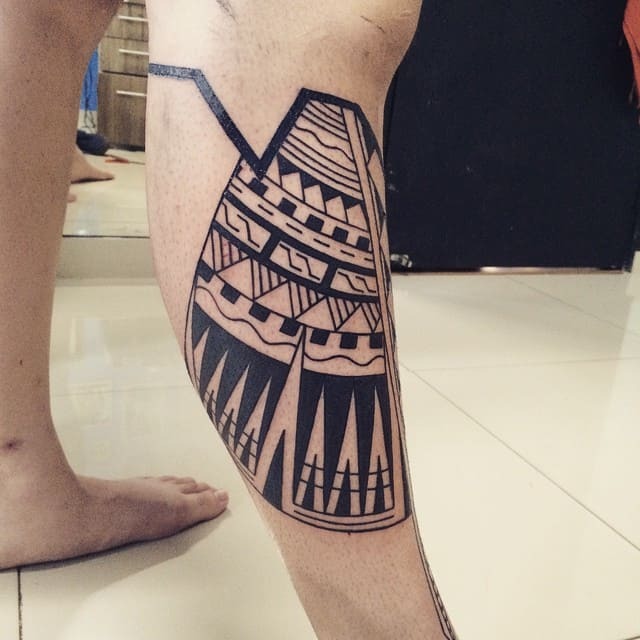 Basically, they are done in black ink as they are tribal tattoos. They are almost never done in color because they will lose their individuality and prominence this way, but this in no way means that they are any less on their attraction value. Shells make another important element and they symbolize peace, fertility and longevity. 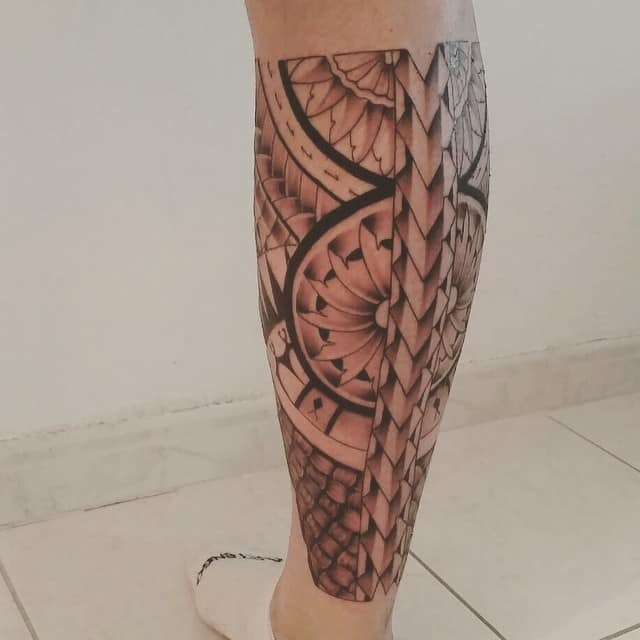 In modern tattoo art, they are not confined to hip and knee areas, but are also featured on calves, arms and shoulders.